This Valentines, get the gift that keeps on giving! Gorgeous FREE gifts available on selected ranges. 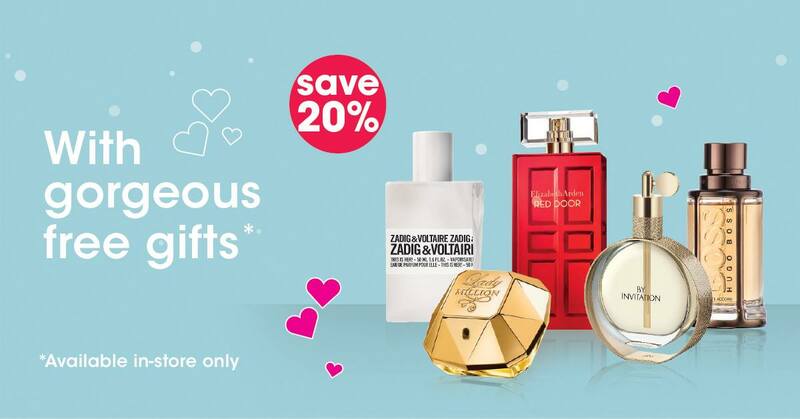 Shop Elizabeth Arden , Zadig&Voltaire, BOSS Paco Rabanne, Van Cleef & Arpels & Michael Bublé. *IN-STORE ONLY and while stocks last.